Underground Comedy Club is Recommended by TimeOut London! 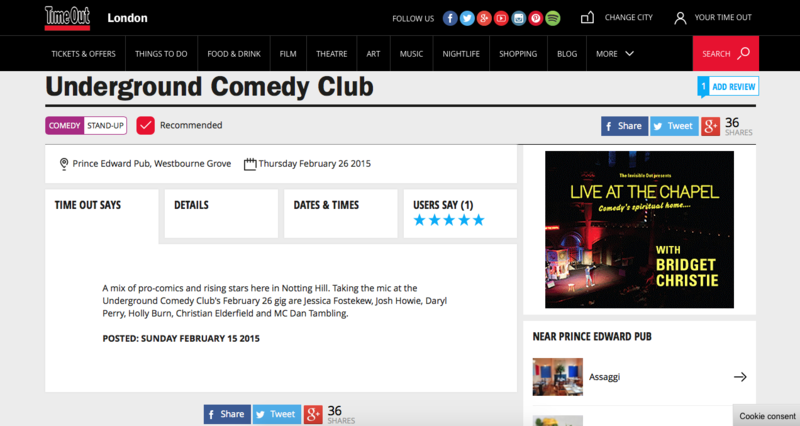 Great news… Underground Comedy Club has been recommended by TimeOut London! That’s right, it’s the best news ever. If TimeOut London thinks it’s worth recommending, it must be good! Join Us it’s going to be a brilliant night!